One can expect good and decent accommodation when visiting Bandhavgarh National Park in Madhya Pradesh. This place is one of the most developed national park in India and thus there are many hotels and resorts located within the vicinity. Since many tourists visit the park every year, the accommodation facilities keeps getting better and better. Other than economical and budgetary accommodation, one can find many star category hotels and resorts near by. Other than that the MP Tourism has also arranged for accommodation capacity for tourists visiting National Park. MPTDC White Tiger Forest Lodge is a MPTDC owned property which offers comfortable accommodation for tourists visiting the National Park. MPTDC White Tiger Forest Lodge is comfortably located within the vicinity of the park, around 2 km away. 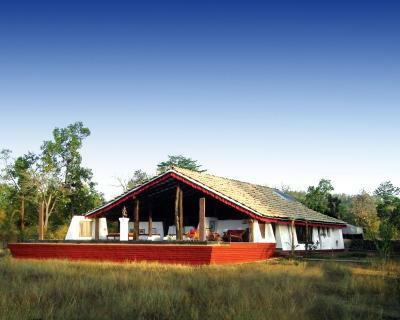 Bandhavgarh Meadows: It is a luxurious resort located around 600 meters from the National Park. 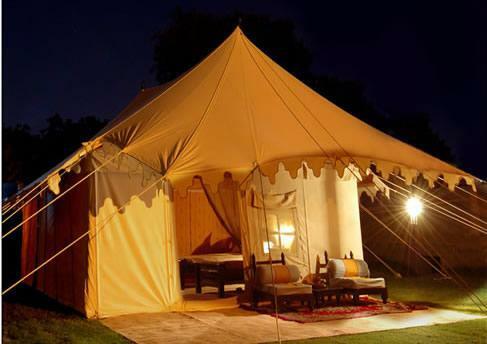 This place offers comfortable accommodation facilities which include villas, cottages and luxurious tents. Other than the spacious rooms, various other facilities are offered by the resort which includes swimming pool, restaurant and many more. Tiger Trail Resort: Tiger Trail Resort is a lodge located near to the National Park. Tiger Trail Resort offers comfortable accommodation with its elegantly furnished rooms. Tiger Trail Resort also offers various other facilities to its guests. Tiger's Den Resort: Tiger's Den Resort is the most popular resort located near the entrance of the park. Tiger's Den Resort is situated amidst lush greenery and offers comfortable accommodation capacities in the form of cottages and suites. Other than spacious rooms the resort offers various facilities which includes restaurant, bar, library and many more such other facilities. One of the best known National parks in the world, this National Park is located within the Umaria District of Madhya Pradesh. The vast forest of the National Park rests amidst the Vindhya Ranges of Madhya Pradesh around 811 m above sea level. The location of the park covers two districts – Umaria and Sahdol. It covers an area of 448 square kilometers. However tourists are restricted only to an area of 105 km of the total park. It is easily accessible by road, air and trains. By air, the nearest airport is Jabalpur Doomna Airport in Jabalpur, around 190 km from the National Park. Jabalpur Airport is a Domestic Airport, very well connected by means of regular flights to cities like Delhi, Mumbai, Indore and Gwalior. Foreign nationals can take an international flight to Delhi or Mumbai and from their take a connecting flight to Jabalpur. From Jabalpur Airport, one can take a private taxi or state transport buses to reach the Park. The drive from Jabalpur Airport to the National Park is around 4 hours approximately. The other nearest airport for is Khajuraho Airport around 300 km away. By Railways, the nearest railroad is Umaria, around 40 km away. Umaria falls on the Katni – Bilaspur Rail route and is connected my means of direct trains from Delhi, Indore, Haridwar, Gwalior, Bhopal, Amritsar, Puri, Kanpur and Vishakhapatnam. From Umaria Railway Station, one can take private taxi or state buses and reach the park, which is hardly 30 minutes away. The other nearest rail road is Katni around 120 km away. By road, one can easily access the national park. Two highways pass through the national forest. 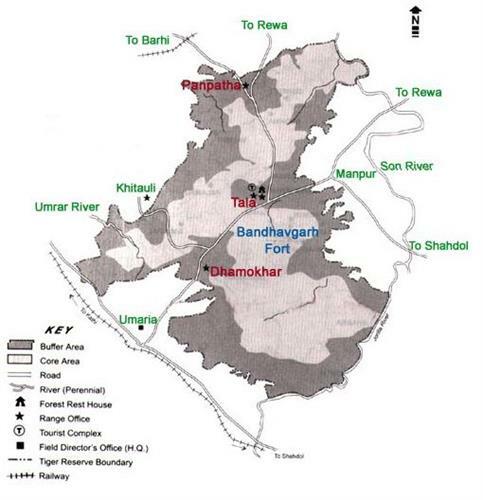 One is the Umaria – Rewa Highway and the other is the Parasi – Katni Highway. The Main gate of the Park is located right on the Umaria – Rewa Highway. There are many private buses and state transport buses which ply regularly from both the mentioned highways. These buses start from Umaria, Satni, Bilaspur, Gwalior, Khajuraho and Jabalpur.